In Disney's Descendants 2, Mal travels back to the Isle where she meets her arch-nemesis, Uma! And the rivalry isn't over yet! Look for the Uma doll (sold separately) and pretend to recreate an ultimate underwater showdown between Mal and Uma! 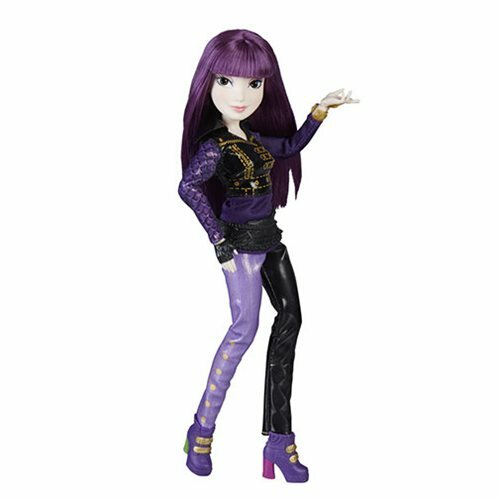 This Mal doll comes in a sleek style, complete with heeled booties and a gold bracelet. Includes doll, outfit, 2 accessories, and pair of shoes. Ages 6 and up.